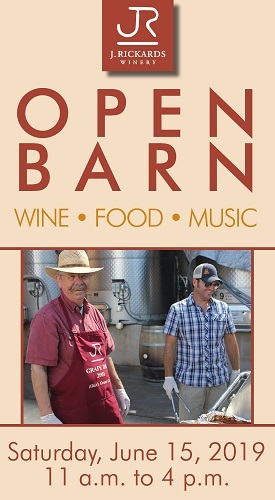 Join us for our annual Open Barn summer party! We'll be pouring some of our favorite summer wines, serving up a smoked pork shoulder taco bar, and enjoying live music from Jason Bodlovich! This $30 public ticket includes lunch ($15) and a full wine tasting ($15). The wine tasting fee is refundable with a wine purchase or wine club signup at the event! Glasses of wine are available for purchase for $6, with 100% of proceeds benefiting the Geyserville Fire Department. Wine club members, please ensure you're logged in and select Open Barn Wine Club ticket to get your discount!